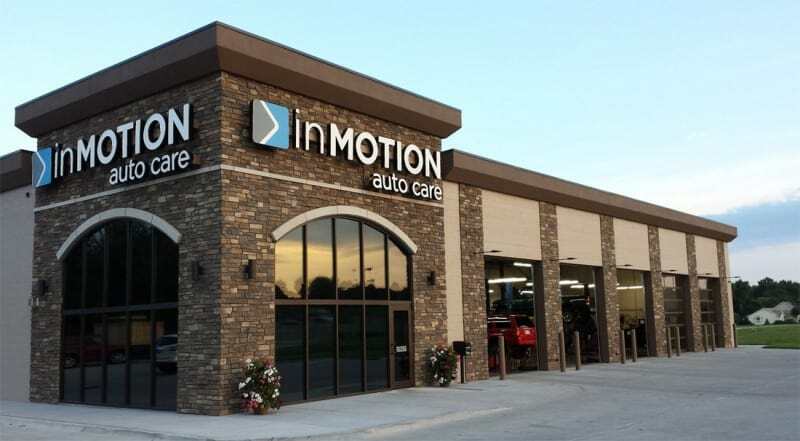 inMOTION Auto Care in Lincoln is indeed a premier auto repair facility that only employs the most qualified auto mechanics, service advisors, and office staff. While experience, skills, and training go a long way with us, the strength of character, work ethic, and commitment to the overall customer experience matters just as much in our hiring process. 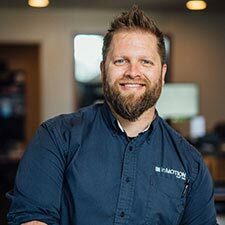 Sherri Stock and Jared McPike opened inMOTION Auto Care in Lincoln with courage in their hearts, knowing that Lincoln could use an auto repair facility with integrity. Together they are a formidable team and bring a truly unique auto repair experience to their customers. Sherri’s passion for automobiles started back in high school with a beautiful blue 1971 Chevy Nova Super Sport. She learned the basics of auto repair with that car and went on from there to be the 2nd woman to graduate from the Automotive Technology Program at Southeast Community College - Milford Campus and also completed the Parts Management Program. Sherri not only knows her way around under the hood of a car, but she’s also a seasoned pro when it comes to all things parts! She is committed to raising awareness of the value and importance of vocational training knowing that today’s vehicles are incredibly sophisticated and require intelligent, very well trained technicians (both men AND women) to accurately and effectively get the job done right the first time. 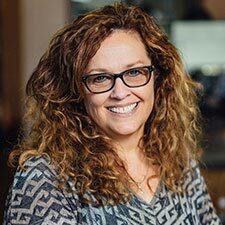 She’s also an advocate of helping all people (women, students, the elderly, and anyone else not in the know when it comes to auto repair) to understand enough about auto repair to help them avoid being taken advantage of when visiting the dealership, other independent shops, or buying a new/used vehicle. Sherri profoundly cares about her customers from Lincoln and the surrounding communities. They are family. FAMILY: My best friend and husband Ted and our son Chris (who is also my coworker), future daughter in law, Victoria and two beautiful grandkids Viarra and Ezra. We have two dogs: Desi, a Chow Chow and Max, a German Shepherd. WHEN I AM NOT AT WORK I LIKE TO: Do anything outside, walking the dogs, fishing, boating, gardening or just relaxing. I also enjoy cooking (I’m a gadget and cookbook collector), sewing, needlework, reading and of course, playing with my grandkids!! MY DREAM VACATION: Would be a trip around the world, exploring and experiencing as many countries and cultures as I possibly could. FAVORITE FOOD: I love anything Mexican, the hotter the better! MY CAREER MISSION: To raise public awareness of all of the amazing careers the automotive industry has to offer. Not every student is a four year college student, Vocational and Technical colleges are a wonderful alternative for career training. Added benefits are a shorter time commitment to gain the education and less, much less student debt. Job placement after graduation is excellent. Currently, in the Lincoln area there are 10 auto technician positions for every student graduating from SCC Lincoln-Milford. The days of grease monkeys and cars being repaired in our backyards are long gone. Today's vehicles are sophisticated, highly technical machines that need equally highly technical, skilled men and women to repair them. Jared’s first vehicle was a 1987 Ford F-150 he bought from his grandfather for $500. He loved that truck! After high school, Jared worked a few odd jobs before his father pointed out how much he liked working on cars. That was it! Jared started working at Russwood, as a maintenance technician and shortly was enrolled in the Chrysler Apprentice Program at Southeast Community College and became a well-trained technician and service advisor. Jared brings years of experience as an ASE-Certified Master auto technician and ASE Certified service advisor. He also brings his passion for the work and for meeting the needs of inMOTION Auto Care customers. Jared is very involved with his family, church, and is a die-hard Missouri Tigers fan. Super friendly, he’d love to educate you about any challenge you’re having with your vehicle. It’s all about the customer relationship. FAMILY: I have a beautiful wife (Diana) and three kids, Lily, Kate and Graham. We also have a dog named Lola and a girl cat named Spaceman. WHEN I’M NOT AT WORK I LIKE TO: Play with my kids, take my wife out on a date night, play drums or work on my house. MY DREAM VACATION: I like warm weather and beaches. As long as I have those two things, I am pretty happy wherever I am. FAVORITE TEAMS: College – I am a die-hard Missouri Tigers fan. My dad is from Missouri and as a kid I grew up hearing my dad cheer for the Tigers. Naturally I wanted to be like him, so my team, became the Tigers. A message to all the Husker fans who now hate me – It’s okay. We’re in different conferences now and we can all be friends. HOBBIES: I am very involved in my church and love volunteering to play the drums for the worship band. I have recently taken up turkey hunting, the turkeys have nothing to worry about...yet!. inMOTION Auto Care is an extraordinary auto repair shop and certainly one of the best in Lincoln. 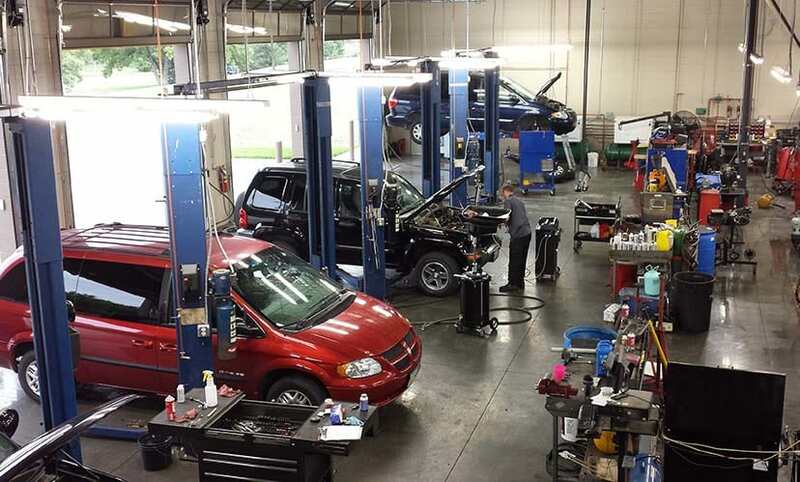 Our staff is professional and friendly, and our auto technicians are not only all ASE-Certified (many are Master-Certified), but receive a minimum of 60 hours of annual education and training. We work hard to stay cutting edge to ensure we deliver nothing short of stellar work and offer one of the best warranties in the business (5-year/50,000-miles). We go out of our way to ensure an excellent customer-service experience with a staff that cares about you, your safety, and your vehicle’s performance. 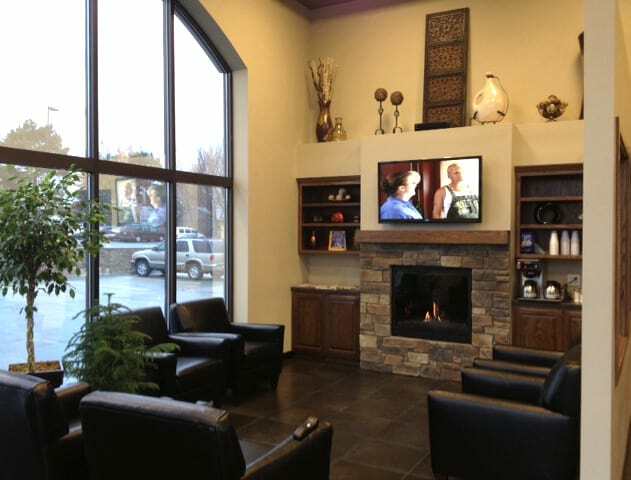 We invite you to call, schedule an appointment online, or drop by to visit and chat with us. We’re located at 131 Russwood Parkway, Lincoln, NE 68505, and we’re open Monday to Friday between 7:00 AM and 6:00 PM.